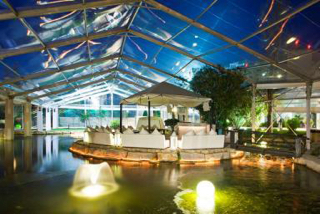 The KES-SDF17 Gala Dinner will be held at Puro Beach LakeSide which is a magnificent venue next to the conference hotel. The look and feel of LakeSide is known for its surreal beauty and ambiance, containing palm trees, exotic gardens and ponds in the heart of Vilamoura. 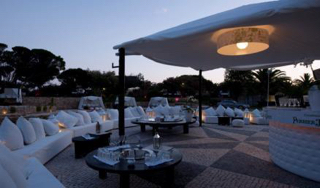 Purobeach Vilamoura is an oasis of tranquillity next to the sea so why not venture out for a sophisticated after dinner walk along the famous Falesia beach, it also has a lounge bar, Tai Chi and massage area. The divine menu consists of a blend of international cuisine with oriental influences, tempered with a touch of traditional Portuguese. The conference Gala Dinner will take place on the evening of 22nd June 2017 for those with Full Registration or who have purchased a ticket. Mineral water, Red or White Wines, Soft Drinks, Beer and fresh coffee served after dinner. Main course - Tomato Tartar with red onion chutney and vegetables parcel for the vege option. We are delighted to present to you an exclusive sunset cruise on the Condor de Vilamoura. Experience the pleasure of sailing on this truly magnificent vessel whilst networking and watching the sun go down on day one of the KES Conference. We will provide you with an open bar including a variety of drinks and soft drinks with snacks to enjoy during the sail. We will show you the beautiful Algarve coast with its long beaches, cliffs, rock formation, caves and old fishing villages. 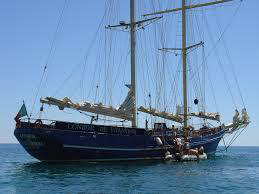 The Condor de Vilamoura is a replica of the American fishing schooners built between 1825 and 1935, she was built in Portugal in 1986 as a commercial vessel for tourism along the Portuguese coast. 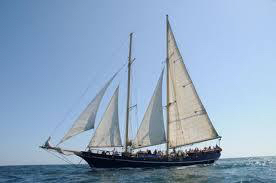 She is a 2 masted schooner, 34 meters in length and weighing 107 tons (she has a steel hull). The Condor de Vilamoura has a large air-conditioned saloon with a bar area and toilets, it also has modern communication and safety equipment and is licensed by the Portuguese authorities. Please purchase your ticket during your online registration process for €30.00.